SEOUL, March 14 (Yonhap) — Two South Korean mogul skiers who competed at the PyeongChang Winter Olympic Games were banned for life after they were found to have assaulted and sexually harassed fellow athletes during a World Cup event in Japan earlier this month, the national ski association said Wednesday. 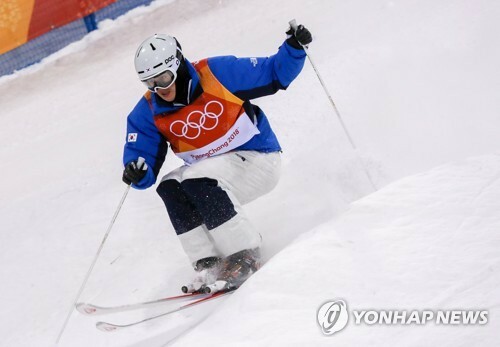 The Korea Ski Association (KSA) said its discipline committee decided to punish Choi Jae-woo and Kim Ji-hyon with lifetime bans for their behavior during the International Ski Federation (FIS) Freestyle Ski World Cup in Tazawako, Japan. According to the KSA, the two skiers had a drinking party and asked female skiers to join them. But when their teammates refused to do so, they apparently assaulted and sexually harassed them. At the FIS World Cup in Japan, Kim and Choi finished 19th and 22th respectively on March 3, but they didn’t start their runs next day. 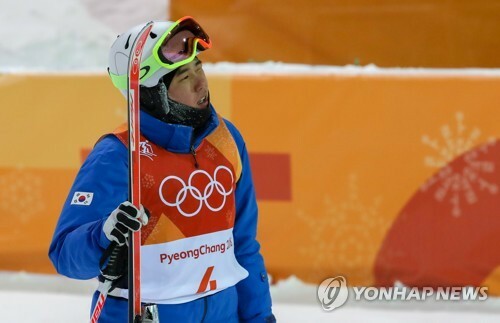 Choi, 24, was one of South Korea’s medal hopefuls at the PyeongChang Winter Olympics after posting three fourth-place finishes at FIS World Cups this season. But he failed to complete his race in the second final round and tied for 10th place in the men’s moguls at PyeongChang 2018. Kim, 23, earned an Olympic spot at the last minute and finished 27th in the moguls event. Meanwhile, the female skiers who claimed they were sexually harassed by Choi and Kim reportedly asked the police to investigate the incident.